Obituary for Jonathan Porter-Dewberry | House of Wheat Funeral Home, Inc.
PORTER-DEWBERRY, Jonathan, age 50, born February 16, 1968 in Dayton, Ohio to the late Milton Dewberry Sr. and Beauty Suevenia Porter-Dewberry, passed away August 28, 2018 at the V. A. Medical Center. He was a graduate of Colonel White H. S., Class of 1986, and a graduate of Central State University Upward Bound Program (1981-1986). 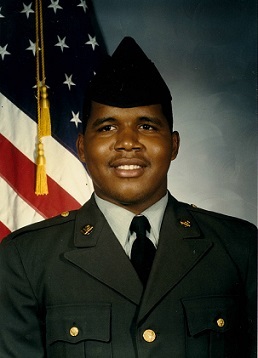 Prior to joining the U. S. Army in 1986, where he received numerous awards and medals for his service, he worked for IGA stores and as a musician. Jonathan enjoyed all types of music and served as a disc jockey for local community functions and events. He was widely known as DJ Dewberry while working with the WDPS (Dayton Public Schools) radio station (1984-85). He leaves to celebrate his caring legacy: brothers, Joseph (Donnetta), Irvin (Felicia), Nathan, David (Angel), Nathaniel, and Jimmy; sisters, Belinda (Andre) and Brenda; and other beloved family members. Funeral service will be held 1 pm Wednesday, September 5, 2018 at the House of Wheat Funeral Home, Inc., 2107 N. Gettysburg Ave. Visitation 10 am at the funeral home until time of service. Family will receive friends one hour prior to service. Rev. Raleigh Thornton Jr. officiating. Interment Dayton National Cemetery. The family would like to thank the Dayton V. A. medical team and support staff, the Ohio State Heart Hospital, Attorney Charles Cowan II, Price Brothers Stores, and Lorna Change.